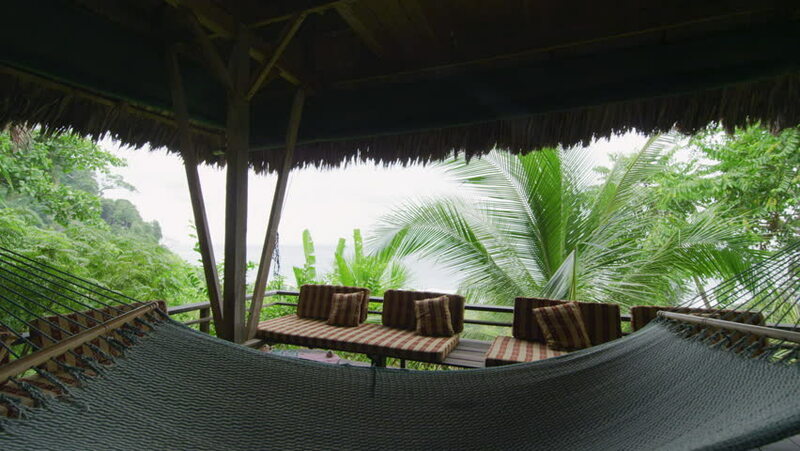 A beautiful cinematic gimbal tracking dolly shot of the interior of a bungalow jungle ecolodge structure with a hammock swaying in the ocean breeze. 4k00:17A beautiful cinematic gimbal tracking dolly shot of the interior of a bungalow jungle ecolodge structure with a hammock swaying in the ocean breeze. hd00:20Young coffee Arabica plant in CHIANG RAI, North of Thailand. 4k00:33Drone flies over a backyard patio and through the foliage under trees into a luxurious backyard with autumn colors. Drone climbs to crest above the trees in bright sunshine. 4k00:13Little white cruise boat sailing slow along beautiful sunny jungle river with lush green palm trees lean over water.